The North Coast is in the midst of the worst drought conditions on record. 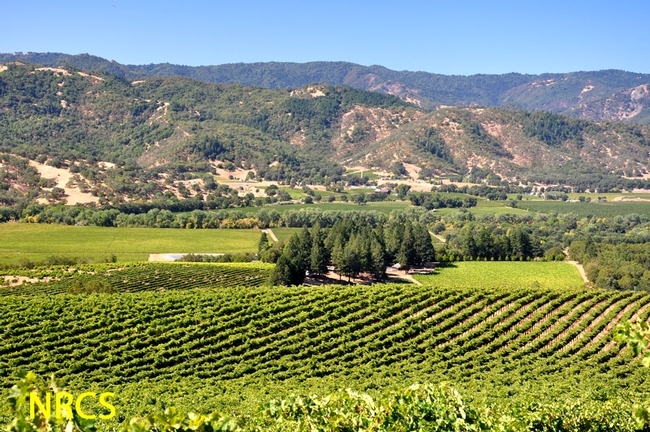 Wine grape production is Mendocino County's leading agricultural crop, and managing for the 2014 grape crop requires an understanding of balance between the grape crop needs and the drought-caused limitations. There is a FREE evening seminar scheduled for this coming Monday, June 30th at 7:00 PM, addressing the issue. The speaker for this event is Erica Lundquist, Soil Scientist for the USDA-Natural Resource Conservation Service at the Ukiah Field Office. Dr. Lundquist has over ten years of experience working in Lake County and Mendocino County vineyards, and will talk about soil, evapotranspiration, and plant-based techniques to guide irrigation scheduling in these water-limited times. Dr. Lundquist's past experiences include working for Rhonda Smith, UCCE Viticulture Advisor, and Terry Prichard, UCCE Irrigation Specialist... working on a cabernet sauvignon deficit irrigation trial at HREC. Erica also has experience as a private irrigation consultant and serves as the Lake County Winegrape Commission Viticulturist. Even though this seminar is targeted to wine grape growers, all members of the community are invited to this free seminar. Following the seminar will be an opportunity for questions and answers, and light refreshments will be served. The event will be held at the Rod Shippey Hall, 4070 University Road, 4 miles east of Hopland off of Old River Road. For further information or directions, please refer to HREC's website here, or call the UC Hopland Research & Extension Center at 707-744-1424.